The broody among you might want to steer clear of Jay and Bee's new Tumblr; featuring pics of Blue Ivy, it's cuteness personified. 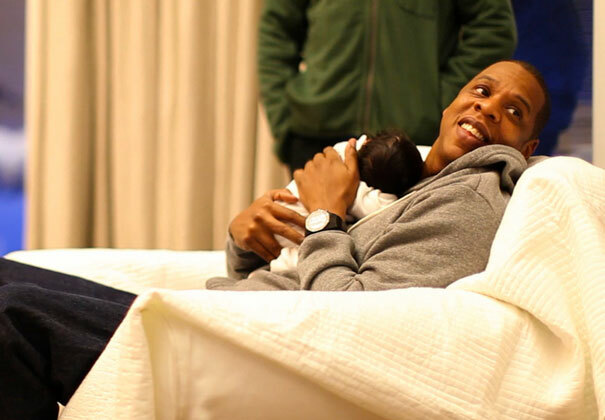 Jay, you certainly know how to rock the dad look. Cute! The couple set up the site as a way to avoid selling pictures/ paparazzi scrum and thanks fans for 'respecting their privacy'. A great idea, and what a handsome looking site it is too.